Kerala is staring at a 4 to 5 percent decline in footfalls if the tourism sector does not pick up from October, a senior tourism official has said. If things start picking up from October, there may still be growth, a tourism official said. 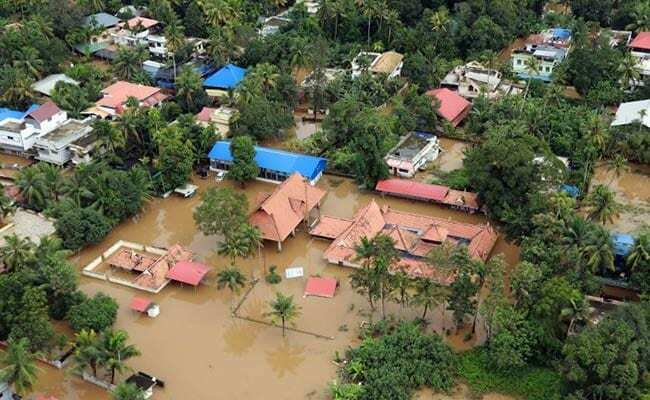 After immense damage caused due to devastating floods , Kerala is staring at a 4 to 5 percent decline in footfalls if the tourism sector does not pick up from October, a senior tourism official has said. The state is reeling under the impact of floods, the worst since the 1924 deluge. 265 people have been killed and 1.5 million people have been forced into relief camps. The busiest airport in Kochi has been shut since August 16 and is expected to resume operations only from August 29. Kochi and Ernakulum regions, which have been under the waters for almost two weeks, alone account for around 52 per cent of all tourism in the state, according to a Car Rating report. "We had a good first quarter with a full 17 per cent growth. However, the second quarter saw a 14 per cent decline in footfalls due to the Nipa virus that struck the state in April-May," Kerala Tourism director P Bala Kiran told PTI over phone from Thiruvananthapuram. "August and September were completely washed out as we saw huge cancellations due to the massive floods, which will impact business in the tourist state," he said. However, he said, if things start picking up from October, there may still be growth. "If things do not pick up in October, we are likely to witness a 4 to 5 per cent decline over last year," he warned. Kerala had witnessed 10.94 per cent growth in 2017, compared to the previous year, with 1.91 million foreign travelers and 14.6 million domestic tourists visiting the state. Tourism contributes over 10 per cent to the state GDP. Meanwhile, Kerala was promoting the Neelakurinji blooming in Munnar, which is still cut off from the rest of the state due to many landslides. The Neelakurinji blooms once in 12 years and has been a big draw for local public and of late, the tourism department has been promoting it to incoming tourists as well. The season was supposed to begin next month. However, Ms Kiran said it is a lost opportunity this year as Munnar mostly remains cut off from the outside world, while Alappuzha, the land of houseboats and lagoons, is still flooded. These are among the worst affected seven districts of the state. "The flowering usually begins 15 days after the rains in August. We saw a great demand but stopped bookings as rains continued in August as well," he added. The deluge has forced the state to cancel the decades-old Nehru Trophy boat race, which has been a big tourism draw, especially among foreigners, for many years now.